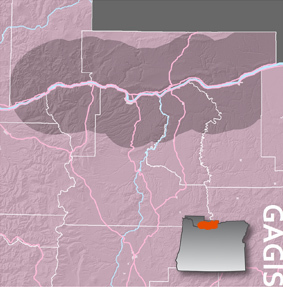 Located in the Columbia River Gorge, GAGIS is a local section of Oregon URISA. We are a group of GIS enthusiasts who meet regularly to promote the use of GIS in social networking, education, professional development and information exchange. Anyone with an interest in GIS, spatial sciences, or who simply wishes to share geographic information is encouraged to participate. If you are interested in finding out more information about the Gorge Area User Group or would like to schedule a presentation at a future meeting, please contact Amy Esnard. *Please find the meeting schedule posted on the following page.